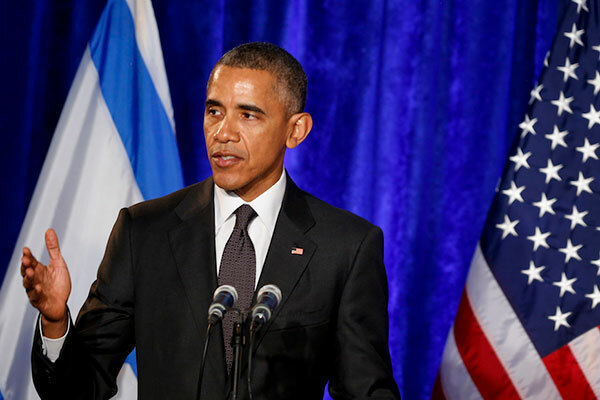 WASHINGTON (JTA) — In his Holocaust Remembrance Day message, President Barack Obama called for solidarity with Jews facing anti-Semitism in Europe and on campuses. 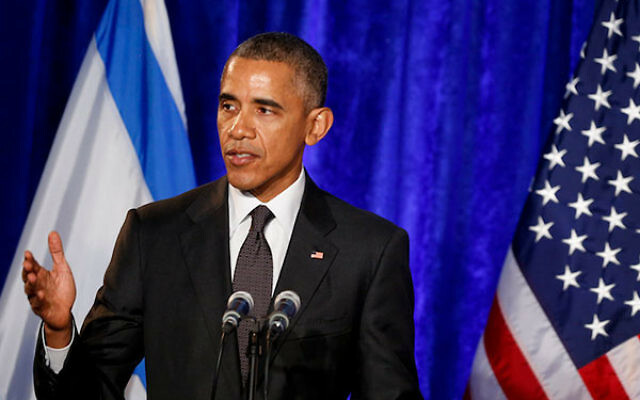 “Today, and every day, we stand in solidarity with the Jewish community both at home and abroad,” Obama said in his statement released Wednesday afternoon, on the eve of commemorations. Obama in his message also honored the 6 million Jews who perished during the Holocaust and those who survived, and drew from the day a more universal message. “When we recognize our interconnectedness and the fundamental dignity and equality of every human being, we help to build a world that is more accepting, secure and free,” he said. In a separate statement, Secretary of State John Kerry, who discovered late in life that his father’s parents were Jewish, noted his personal connection to the events to also draw lessons about the particular threats facing Jews and the universal need for tolerance. “As I have learned in the past decade, some of my own relatives were among those who perished in Auschwitz, Terezin, Sobibor and Dachau,” Kerry said. Penny Pritzker, the commerce secretary and the scion of a hotel businessman who was an early Jewish backer of Obama, was set to deliver remarks Thursday on behalf of the government at the annual commemoration in the Capitol organized by the U.S. Holocaust Memorial Museum.